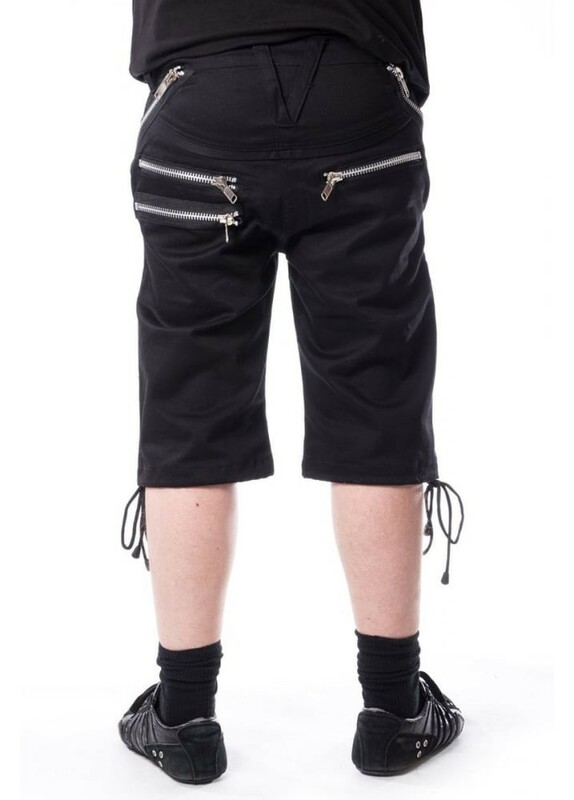 Vixxsin's Anton Short are a cool pair of baggy, knee length shorts. 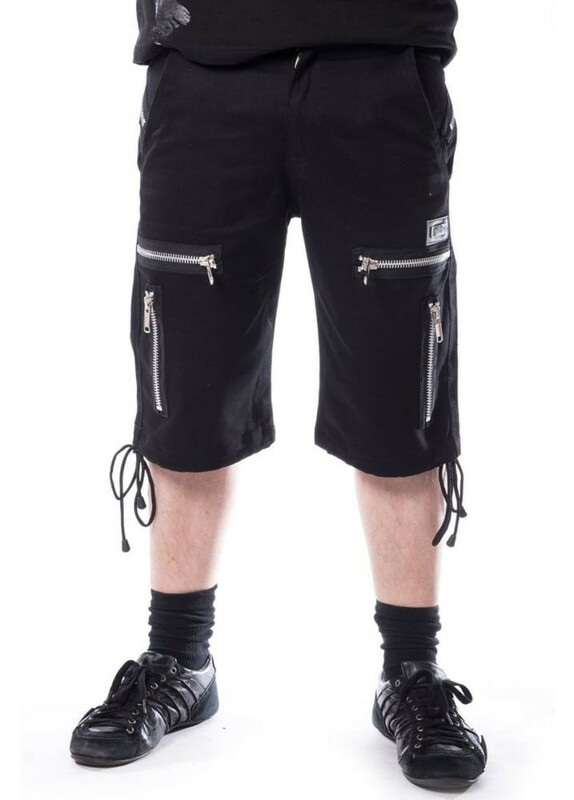 The cotton short have a zip fly and drawstring hems and feature lots of silver zip detailing. 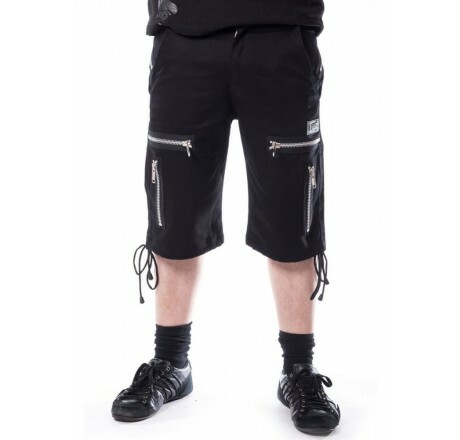 Black Men's knee length shorts Zip fly and drawstring hem Silver zip details 95% Cotton, 5% Elastane Vixxsin's Anton Short are a cool pair of baggy, knee length shorts. The cotton short have a zip fly and drawstring hems and feature lots of silver zip detailing.